We earlier previewed the first Russell Westbrook edition of the Air Jordan XX8 and now we are going to look at the second of three variants of the shoe. 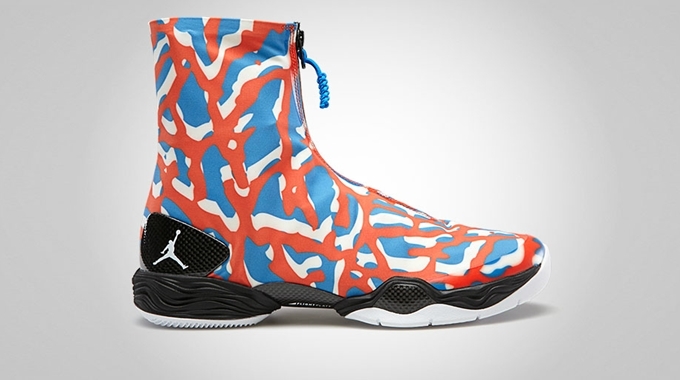 The second Air Jordan XX8 Westbrook featured a more complex design, almost having an equal amount of the Oklahoma City Thunder team colors – white, photo blue, and orange. This one bears a camo-style synthetic upper, unlike the other one that is arguably the cleanest-looking among the three kicks. This kick is now available in the market so make sure to get your hands on it soon!